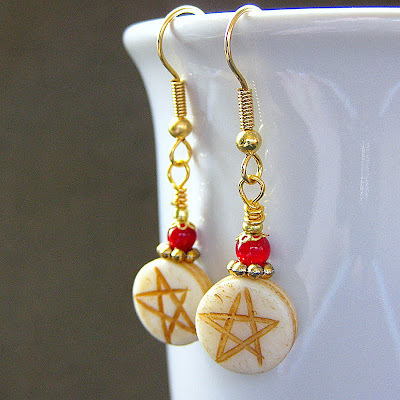 Grace wore a gold ring on her finger and ruby drops in her ears. A fine and sophisticated woman, she sat at the window in the afternoon light weaving a basket as fine and delicate as she is beautiful. 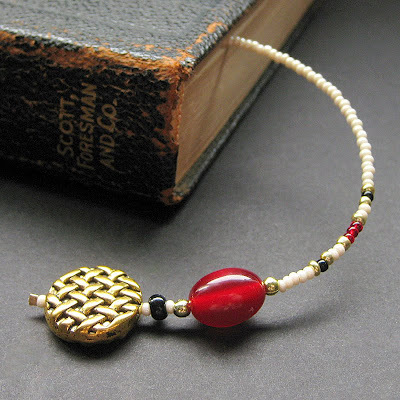 This fully beaded book thong is perfect for books, journals, and more; made with a combination of seed beads in cream, red, gold and black with weighted ends on either side of metal basket weave and shimmering red drops. 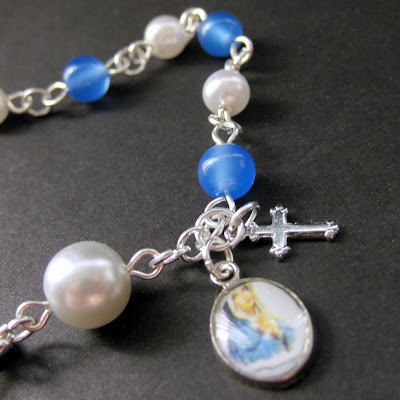 The holy rosary comes is created into a beautiful form of Catholic jewelry when made into a bracelet of genuine blue agate stone rounds and vintage pearl beads. The pearl and blue agate ave ("Ave Maria") beads count out a full decade, with a larger pearl pater ("Pater Noster") bead near the clasp. This beautiful gemstone bracelet is then finished off with a silver plated toggle clasp and a dangling set of holy cross and Sacred Mother charms. Each link in this bracelet is turned by hand with care. 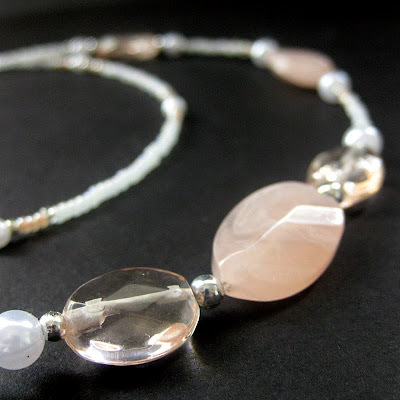 Bracelet is 8.6" (22 cm) in length including clasp.